Where have I been for the whole of July? Well, not the whole of it but a pretty large portion of July has seen me disappear from the blogging world for a few weeks and I very aware I have been neglecting it! The first, and arguably most important bit of news is…. 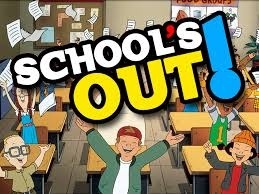 I used to love Recess as a child so I think this is a fitting picture to describe July for me! Yes I am currently one week into my first ever summer holidays as a teacher and I couldn’t be happier. I passed my NQT year, which means next year I’ll be an actual real teacher eek! Scary! In the chaos of end of term I have managed to do some reading and have organised my classroom for next year too. I also have a few home improvement projects on the go (more of which later). 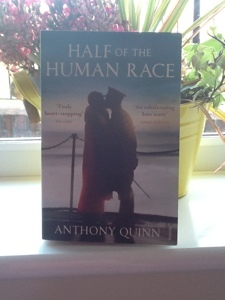 The only book I have posted a review on in July is Anthony Quinn’s Half of the Human Race. However I have been doing some other reading across the month too. The first book I picked up after this was Score by Jilly Cooper. Now I am aware that I harp on about my love of Jilly Cooper every few months – imagine my poor family who get it constantly – and I decided that maybe I didn’t want to post about this book. I LOVE Cooper’s novels, but I wanted to just read it and enjoy the reread rather than think of a different way to discuss the book on my blog. 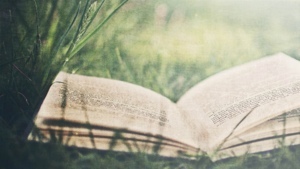 Sometimes I guess it is just nice to read a book and know that if you don’t want to write about it you don’t have to. After my return to Cooper I moved on to a new author: Georgette Heyer. Heyer’s is a name I frequently hear and I was listening to a recommendation on BBC Radio 4’s A Good Read when I decided I needed to know what all the fuss was about. I found The Unfinished Clue in a charity shop and unfortunately for me the word ‘unfinished’ extended to my reading of it. I just could not get into the book; maybe it was the mood I was in but I gave up about 100 pages in. Maybe I’ll give Heyer another chance soon, especially as this was not a regency novel but set in the opening of the 20th century. I swiftly moved on to my current read, the amazing Game of Thrones. I did cheat and watched the TV show before I read the book, but EVERYONE was talking about it and I just had to see it. I quickly became addicted and stormed through season one. I am determined to read the second book before I watch season two though. Expect a review soon as I am off on holiday on Saturday. I moved flats about six months ago and due to work and time issues my flatmate and I haven’t don’t a great deal in terms of making the place very homely. I am on a mission to change this and spruce up various bits of furniture and make sure we actually have an actual dining room table and chairs before September. 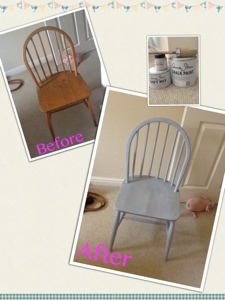 I have made a start on my desk chair today and I am very pleased with the result. I fear this may become a new addiction! Half of the Human Race opens in the summer of 1911. It is the start of the cricket season and whilst Will Maitland is gearing up for another successful season, Connie Calloway is preparing for a fight of her own; the battle for women’s votes. Their paths soon cross as both feel the impact of the Suffragette Movement on their lives. From violent protests to prison, from Paris to the battlefields of the Somme, this novel starts on the cusp of changing Britain and ends in a Britain recovering from the devastation of war. When this book was first released in paperback I was working at a well known bookshop and I knew this novel would be a must read even then; it covers my favourite period in history and I am always keen to read books written or set during this period. Oddly enough though The Suffragette Movement is not something I know a great deal about (hangs head in shame as I am a woman after all) but my studies have focused more on men and manliness during the early twentieth century and in typical art reflecting life, women were second on my agenda. It was certainly interesting discovering more about the women who fought for our right to vote and be accepted as equals; I knew something about key names and figures, but I had little idea about the horrors of prison and hunger strikes. It was amazing the sacrifices these women made for the cause, from abandoning their families, facing disgrace and, in one famous case, death having been trampled by a horse. It just foreshadows the oncoming horrors of war and reminded me of the idea of sport as a means of proving one’s manliness and how this played a major impact on those signing up to fight on the outbreak of the First World War. Half the Human Race is a relatively short novel (480 pages) considering it covers such a significant amount of years, spanning from 1911 to 1919; eight years that arguably brought in one of the biggest changes in British history. I can’t decide if I think it needed to focus on less and explore that in detail or if it hit the balance just right. It tries to cover so many issues and most of these it does well, although I was unsure when I first began reading it. I did find it more enjoyable as I went along and I do think it is worth a read if you are interested in a good, historical novel. MIT has certainly reawakened a craving for literature of the First World War, so I think I will be adding a few more to my summer reading list. I am going to join the hype and play along with Jo at The Book Jotter‘s Six Meme. The idea is to choose categories and include six books, authors in that category to share with others; mainly because we have just passed the halfway point of 2013 and because who doesn’t love a good book related list! Only One Day was a reread, as I have read various works by the other five authors, but never those listed. There are mixture of new books and rereads on this list which I am happy about as I have done barely any rereading of favourite books this year. I think I am most looking forward to Game of Thrones having loved the TV show. Barbara Pym – I have been hearing a lot about her recently and since some of her books come recommended by Jilly Cooper (whom I LOVE) I would be a fool to miss out. George R.R.Martin – I need to continue on my Game of Thrones obsession and I am only a little sad I watched the TV show before having read the books. Georgette Heyer – I was listening to ‘A Good Read’ on the radio recently and Heyer was one of the recommended authors. Again she is a name I have been familiar with for some years now, yet have never read. Luckily I picked up my first Heyer in a charity shop yesterday so I am sure we shall be aquatinted soon. Kate Atkinson – Again another author I have discovered through blogging, this time thanks to Dovegreyreader. Marghanita Laski – Having recently bought one of her books from Persephone I am looking forward to reading her work. Mark Black – Jessica at The Bookworm Chronicles always seems to be reading such amazing history non-fiction and makes me want to read some of Black’s work, hopefully I’ll get round to it this summer. So with that it is back to my book and the tennis I go! 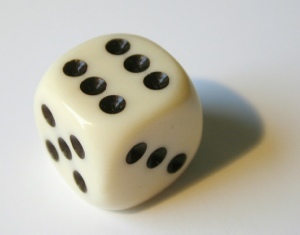 And so June has drawn to a close and we are already half way through the year, what a scary thought! I am also crazily close to finishing my first full year of teaching and with a fantastic lesson observation and my completed NQT Form sent off I guess I can now say that I am officially a proper teacher (although I suppose I was doing that before this point, but I know what I mean). I am very much looking forward to the summer holidays, but am slightly daunted with how much I need to fit in before the end of term, but such is life. On to reading. I read four books in June; two for the Carnegie Medal Award; one for The Classics Club Spin and one other. June saw the announcement of the winner of the Carnegie Medal Award and a lot of my recent reading has been based on the Shortlist due to running an enrichment based on it at school. The great thing about completing the books was that, even though only a handful of use had read all eight books, we were able to vote on our favourite and decide a winner before the actual winner was announced. The students voted Wonder as the winner, with Midwinterblood in second place. So imagine our surprise when we found out the actual winner: Maggot Moon. None of us were very impressed and I had some outraged students on my hands, threatening to write letters and all sorts. Whilst I wasn’t too thrilled about the winner either, I was pleased with the response of the students and the passion they showed about reading and discussing the books. I did get to read one ‘adult’ book this month in the form of Dickens’ The Old Curiosity Shop and whilst it wasn’t my favourite Dickens it was a fairly enjoyable read. Reading this meant another book crossed off my Classics Club List and I am now 1/5 of the way through my list. I did do some adapting and changing as there are a few books I truly know I will never get round to. My updated list is here. Overall a fairly good reading month. Sadly I haven’t read much that has really stood out for me, but I am looking forward to the summer and tackling some of the larger books on my bookshelves.